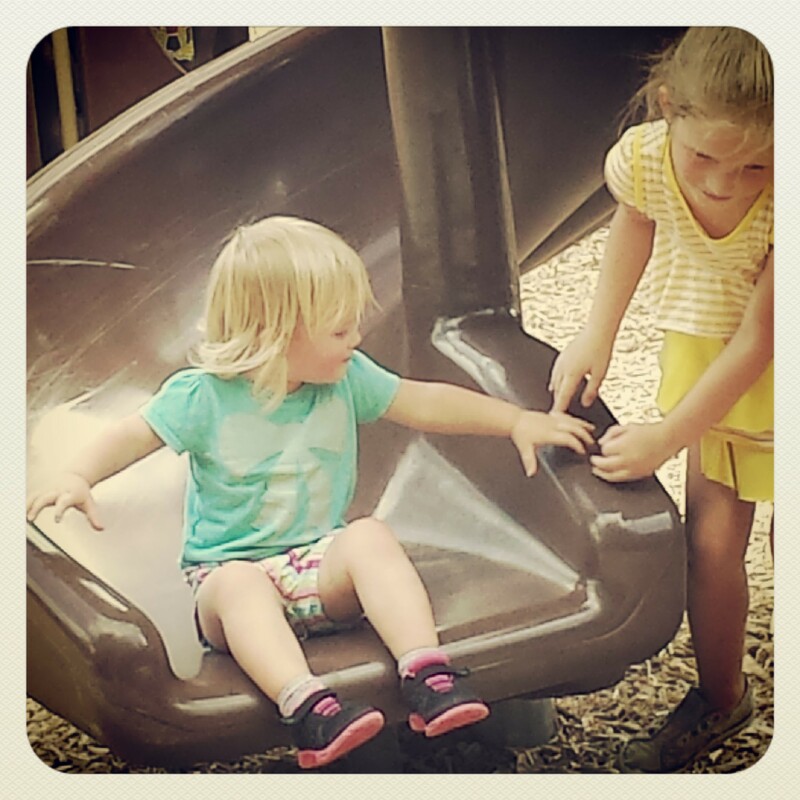 When I designed my garden I was keeping in mind that I wanted my kids to want to be there with me. 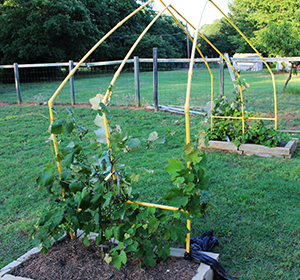 That is why I created a trellis for my grapevines in the shape of a standard house outline. I built it out of PVC pipe which I spray-painted bright yellow. It is anchored in two 2′ x 3′ beds with a stretch of about 8′ of lawn under it. I picture my girls having picnics in the shade of the grapevines. A blanket spread out over the soft lawn. Stealing berries and lounging. That makes me happy! Categories: Get outside | Tags: Grapevine trellis, kid friendly garden structures | Permalink. I love raspberries. They are sweet and delicate. Little bits of perfection. When my daughter runs up to our tiny bushes I find myself magically transported to summers at my grandfathers. He would give us buckets to go out back and fill with fresh berries and then he would run them into the kitchen and make cobblers and crisps. Those memories make me happy. 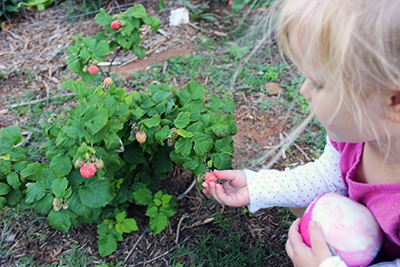 Categories: Get outside | Tags: Getting outside, Memories, Raspberries | Permalink. The leaves are changing color, there is a crisp edge to the breeze… How I love the fall. Then again, this is a matter of supply and demand. Where I live in Texas the fall is in short supply. This past weekend it was 89 and I ended up with a sunburn. So, I love the fall. Every little bit of it. My oldest told me that her favorite parts were 1. The play area, 2. Petting dogs by the play area, 3. The play area and 4. Getting done walking. Oh well. I will keep trying. PS: If you want to find a great place to go for a hike, check out alltrails.com. You can sort based on how close the trail is to you, the length of the hike and so much more. I especially liked that I could choose to sort on kid friendly and dog friendly. If you are looking for nearby parks go to your cities website. Categories: Get outside, Things to do | Tags: Getting outside, Hike, My family is good at humoring me, Outside activities | Permalink.